On Thursday, September 20th, Aerospace Valley participated to the discussions held in the framework of the coming of a Port of Quebec delegation to the Port of Bordeaux (France). It enabled the presentation of the SpaceWave project to a delegation of a SpaceWave target country, Canada, and to discuss with the attendees about EO capabilities and how they can solve issues faced by the Port of Quebec. 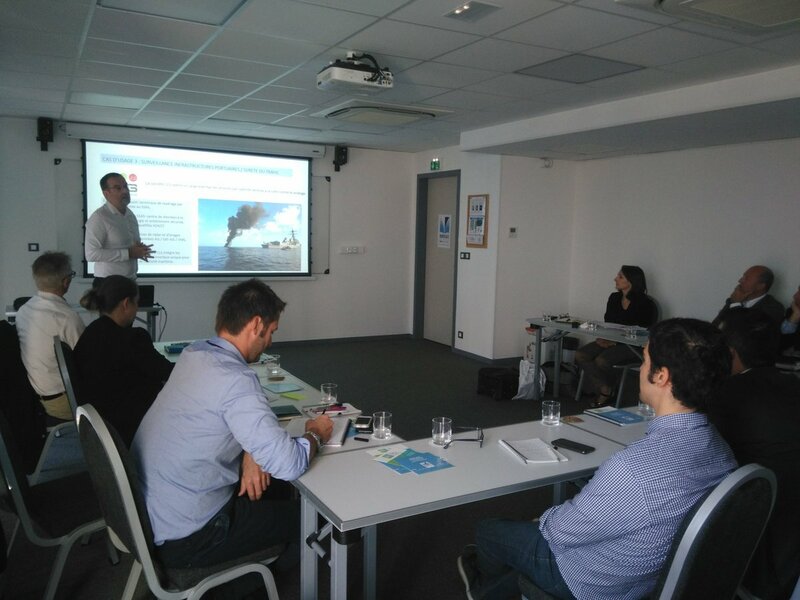 Some use cases on Earth Observation applications for port infrastructures monitoring, maritime transports and EEZ surveillance and monitoring were proposed to the delegation. More especially, it was the opportunity to meet Anick Métivier, Director Community Relations at the Port of Quebec. The SpaceWave project is currently preparing its internationalisation strategy plan and finalizing the shortlist of targeted countries in which the implementation roadmap will be deployed. As part of this implementation roadmap, the consortium is also researching some other relevant actors to sign letters of intent.